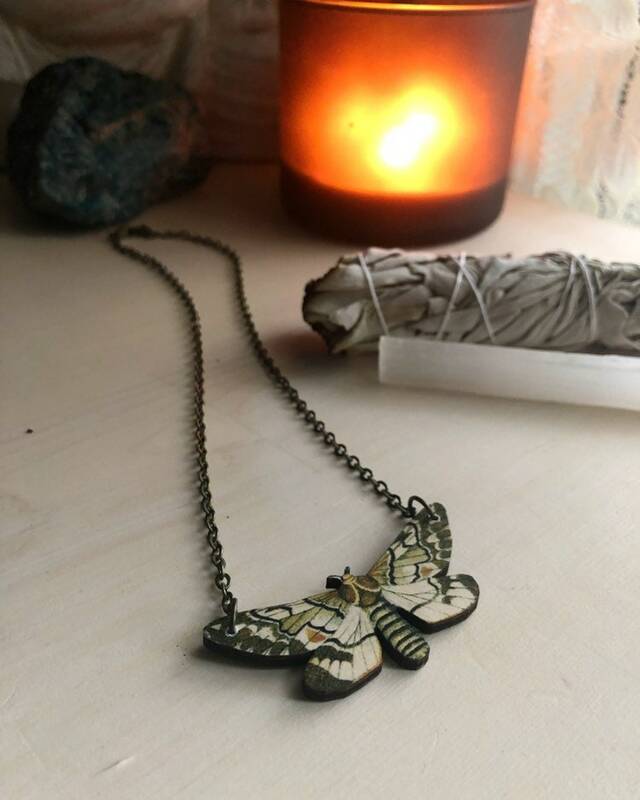 Was $20 but now only $15 through the first day of spring! 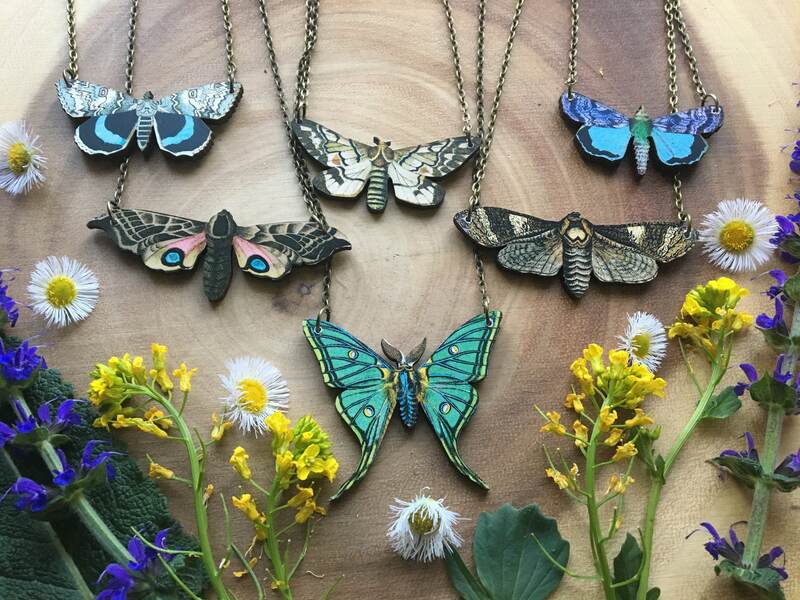 A beautiful necklace with wooden laser cut illustrations of different moth species. You pick from 8 different species. 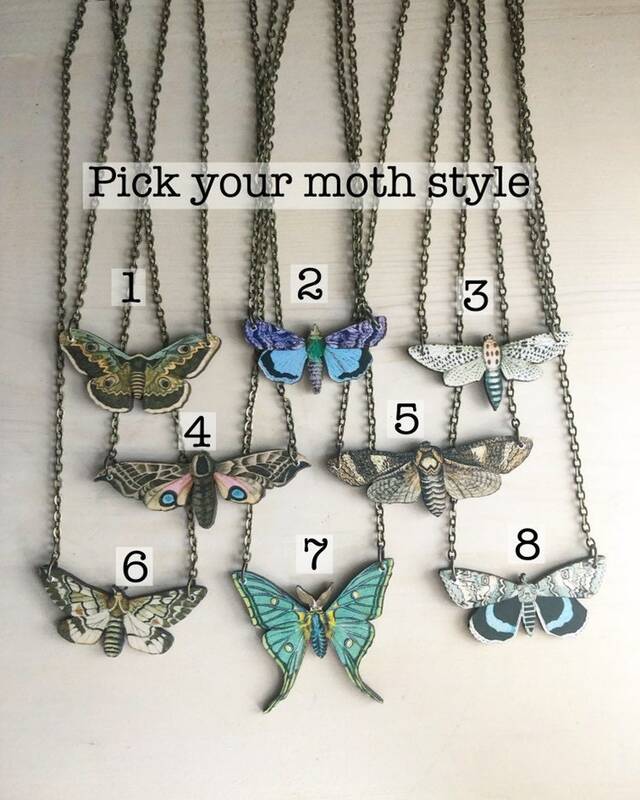 Refer to the second to last photo to see the moths number to choose from. 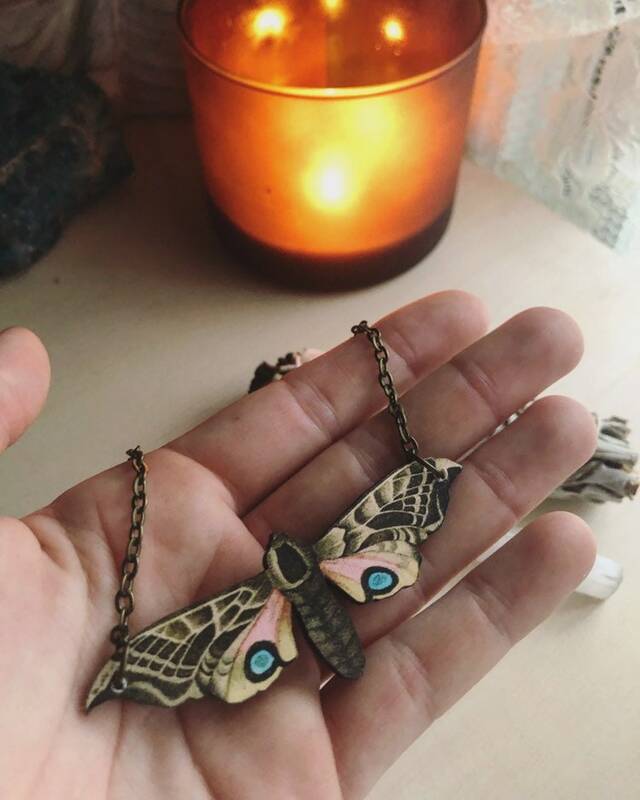 These hang from a bronze nickel free chain. Upgrade to stainless steel (silver option) by leaving the comment at checkout. Select your length... refer to the last chart for example lengths and choose your custom length in the drop down menu before adding to cart. wrapped ready to gift and ready to ship! 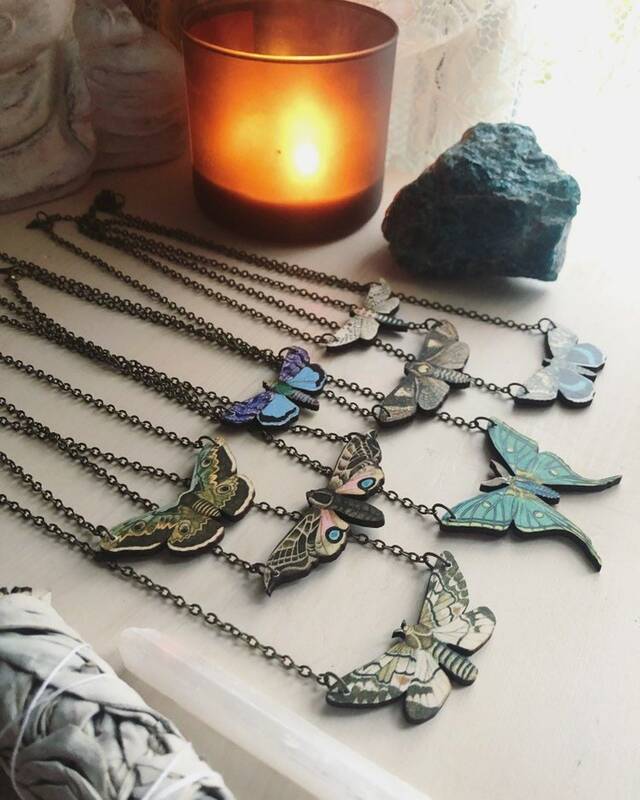 These necklaces are gorgeous. 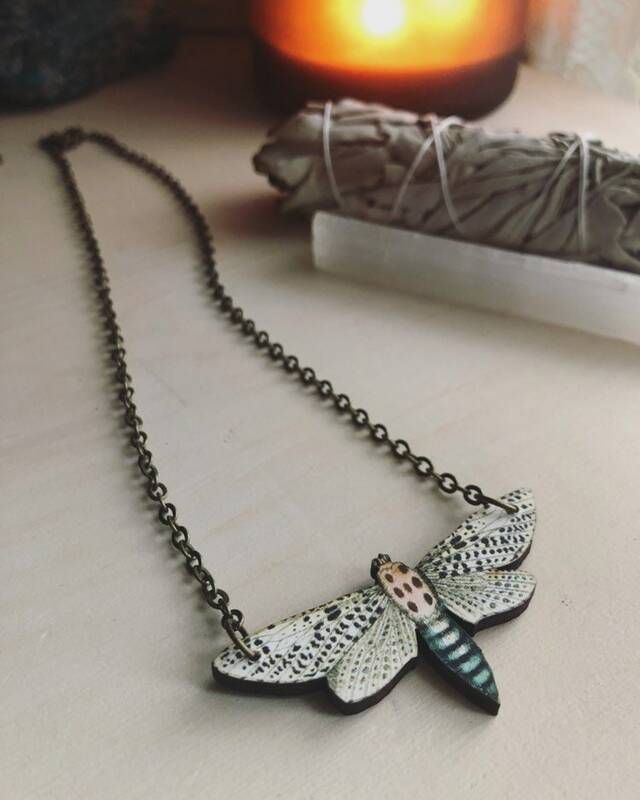 I got one for my sister, an entomology student, and she really loved it. 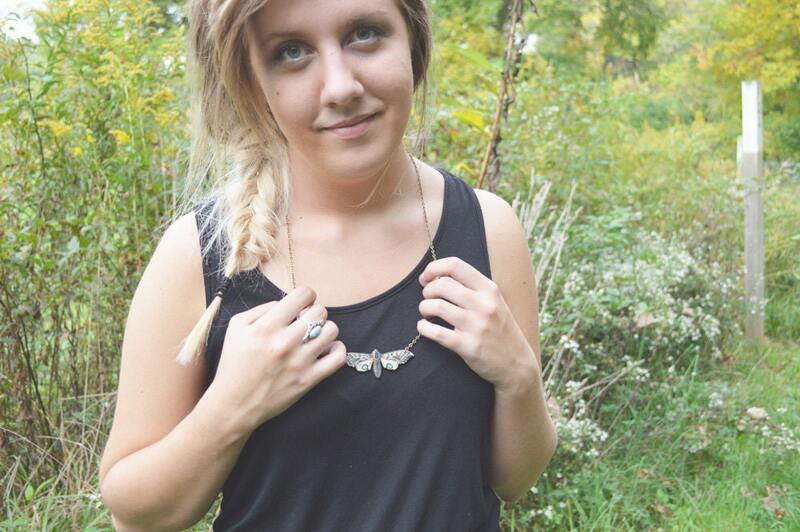 I love my moth necklace. It came in a timely fashion and Run2theWild was very quick to respond with any questions that I had. 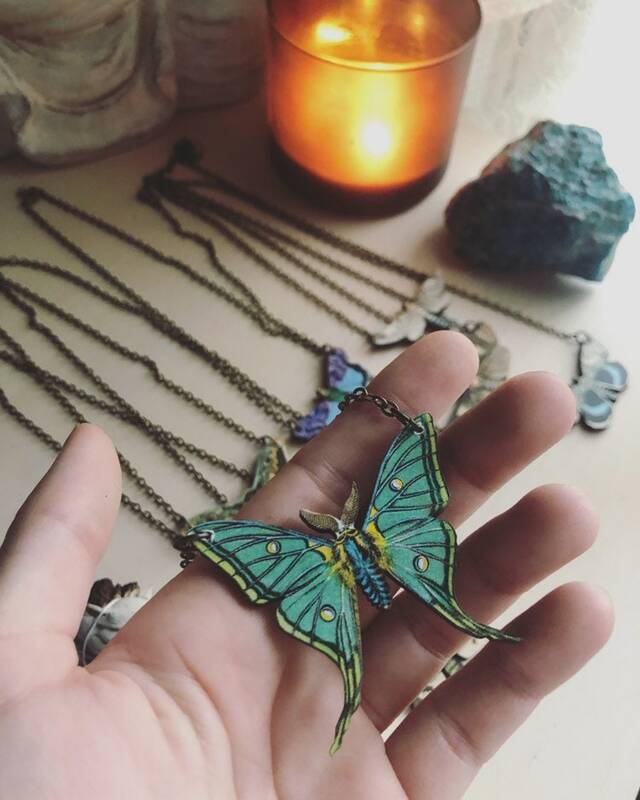 Thank you so much for a beautiful piece! The beautiful colors and detail in this piece - love it. 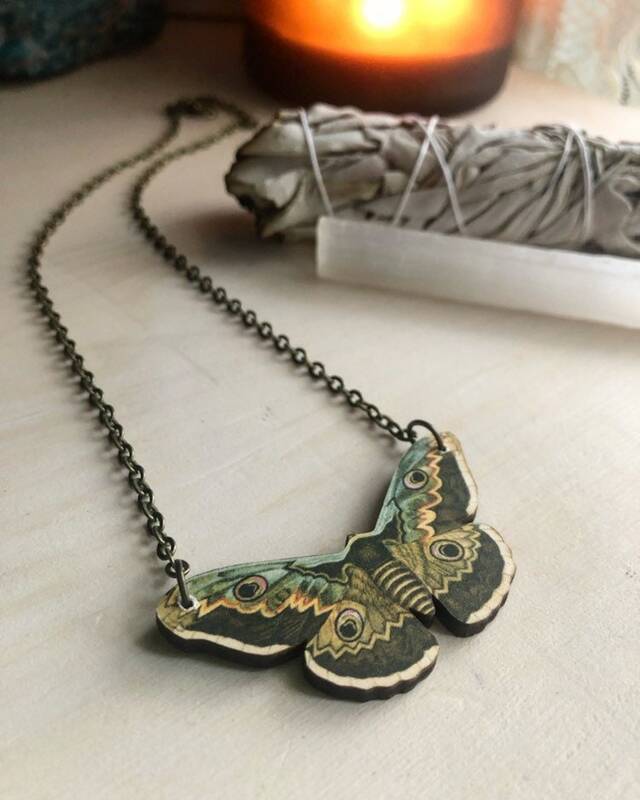 My butterfly necklace was even more beautiful in person as it is in the photo. I love wearing it. Thank you! I love it! Unusual...even prettier in person.